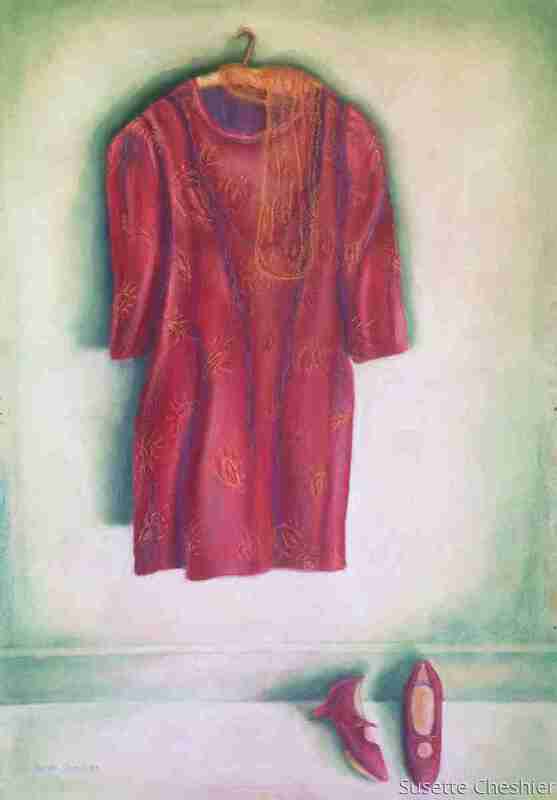 Red velvet dress with orange scarf depicted in bright light against a background wall. Red velvet shoes compliment the dress also painted in red. Red pastel painting is accented with blue and green highlights. 10.25" x 7"13" x 9"16" x 11"18.75" x 13"20.5" x 14.25"